Nobody thought squeezing a phone would become a thing. But it surely has and following HTC, Google too enabled this feature in the Pixel 2 phones. 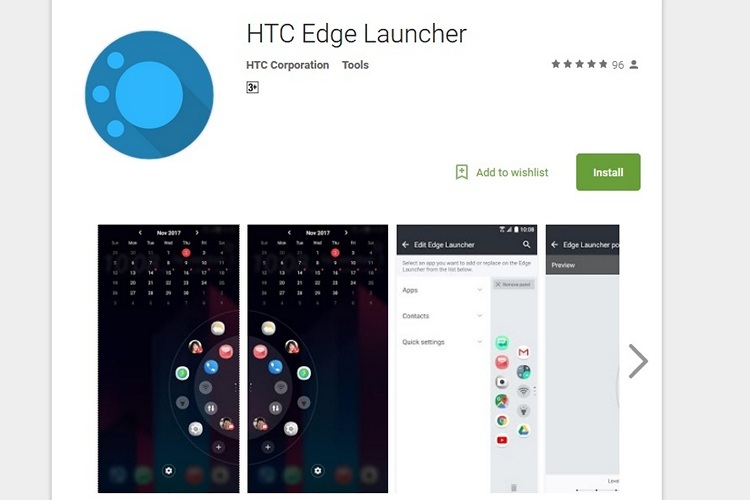 Now HTC is on a mission to prove that Google’s squeeze is just a one-trick pony (hey, we already knew that), by adding a whole lot of functionality to the Edge Launcher app. With the update, users can change the order of the icons, and it also adds new quick settings options for battery saver mode, auto-rotate and mobile hotspot to the existing ones. Another great new addition is the ability to use the launcher from the lockscreen, which is only useful if you want to check the status of a setting or glance at your apps. Unfortunately to activate a setting or toggle or to open your apps, you would still need to unlock it with your fingerprint or with the PIN. By itself the last version of Edge Launcher itself was quite robust. It debuted in the HTC U11 and then took on a more elaborate form for the U11+ late in 2017. It can be set up to do a variety of things, such as bringing up the smart assistant, snapping a photo quickly, or opening your most-used apps. Users can set it up to run two different virtual assistants too – such as Google Assistant or Cortana or Amazon Alexa – since short squeezes and long ones can trigger individual action. In theory, this sounds gimmicky, but as we noted in the users have noted, it can be incredibly helpful.